HOT DEALS: Discount Blu-ray players from Richer Sounds | What Hi-Fi? The retailer has a number of sub-£100 deals on offer: the Pioneer BDP-120 at £99.95, and Samsung BDP-1580 at £79.95. 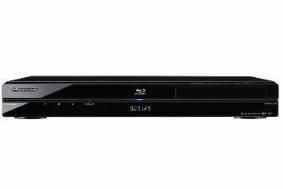 The Award-winning Sony BDP-S760, our 2009 Blu-ray player Product of the Year, is now £299.95 (a £100 saving), and you can pick up the LG BD360 for £119.95 or Philips BDP-7500 for £199.95. If it's a complete Blu-ray system you want, there's a choice of two at £349.95: the LG HB354BS, or Pioneer BCSFS500. Both are 2.1 set-ups with amplification and speakers included. For these and other offers head on over to the Richer Sounds website.